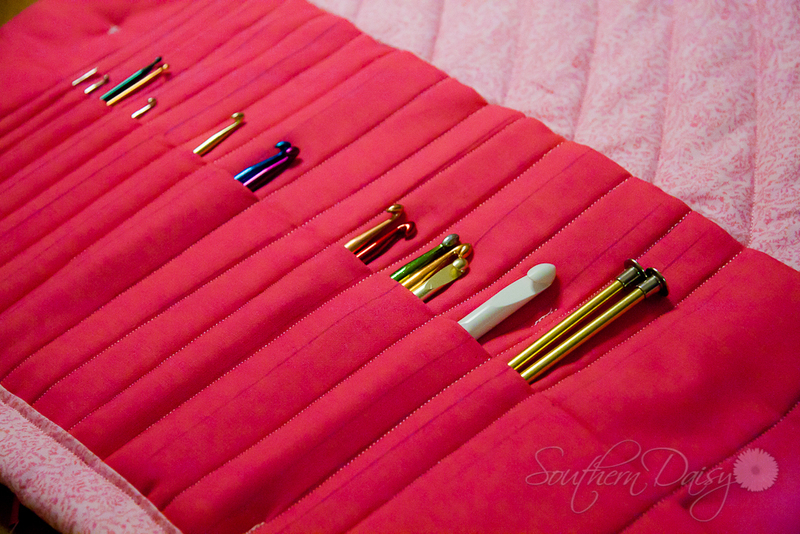 I’ve been wanting to make a case for my assortment of crochet hooks for the longest time, and I found a pattern online several months ago, bought all the supplies, and then never got around to making it. Until last night! Now I finally have an organized place for all my crochet hooks! I used to have a small plastic case, but since I have so many, they didn’t all fit, and whenever I needed to crochet something, I would inevitably not be able to find the exact crochet hook I was looking for. Here is the free tutorial I found online. That link will take you to a page with several different styles of cases, but I chose to do the one on the top left. I just thought it was the cutest. 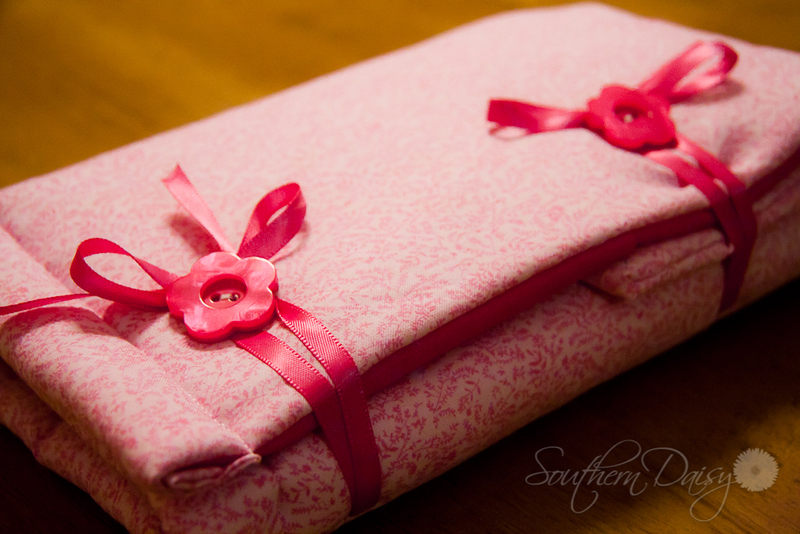 It was my first time using quilt batting, and let me tell you, it’s not that easy to work with that stuff. First of all, it loses it’s shape very easily, getting stretched out if you pull on it too hard. And secondly, it didn’t always want to glide through my sewing machine very well. My bobbin got tangled up a few times as a result. For those of you that are new to sewing or have never sewn with a sewing machine before, a bobbin is a little spool on a sewing machine that holds some of the thread that is used to sew your stitches. Don’t worry, I didn’t know that until I was reading the directions on how to set up my sewing machine for the first time. 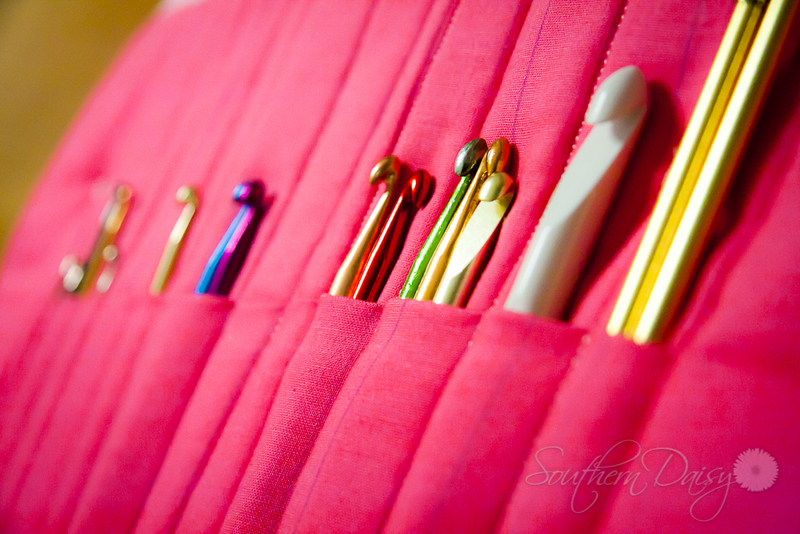 I was able to figure out how to sew little pockets for each of my hooks. As you can see, I marked where i THOUGHT I wanted the pockets to be, and then when I started sewing, I realized I had made a few too small, so I had to adjust accordingly. Which meant that I was left with some pen lines on my fabric. Hopefully they’ll fade with age. Or I guess I could always throw it into the washing machine. 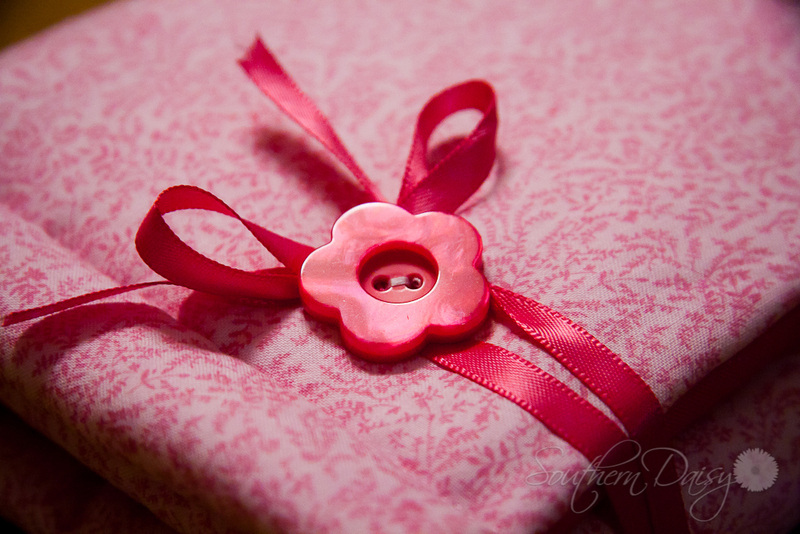 Look at the cute ribbon ties and buttons! I think that is my favorite feature. If you are a person that crochets alot and doesn’t have a place to store your hooks, I highly recommend making one of these cute cases. It’ll make your life so much easier. Oooo, this is gorgeous! My mama loves to crochet, and keeps all her hooks in an old makeup bag. I may have to whip up one of these for her so she’s got something cute to store her supplies in. Thanks for sharing! Thanks Julie! It’s definitely nice, and you can make different size pockets for the different gauges of hook.